A feature article on the nationals bound We the People team. McKenzie, Mia, Iris, and Brooke take a break to pose for a picture. Every side of the political spectrum is present in Mrs. Loeschke’s 6th hour Advanced Placement Government class. They all come together to learn the ins and outs of government. When they signed up for this class they not only signed up for a rigorous college level course, but they automatically became part of the Cannon Falls We The People (WEPO) team, which is also coached by Mrs. Loeschke. Alex Engebretsen said it best when he described WEPO as “a school activity involving the US Constitution and the rights of the people to help foster curiosity in an age when interest in our government is at a low point in the younger generations.” The team navigates questions about “hot button” issues the government is facing through research and discussions in order to prepare speeches for the competitions. The Cannon Falls WEPO team is known to be quite successful, and not just in their chocolate malt sales (PSA those will be on sale the week of March 12th, during lunch for $2 if you haven’t seen the rad posters). 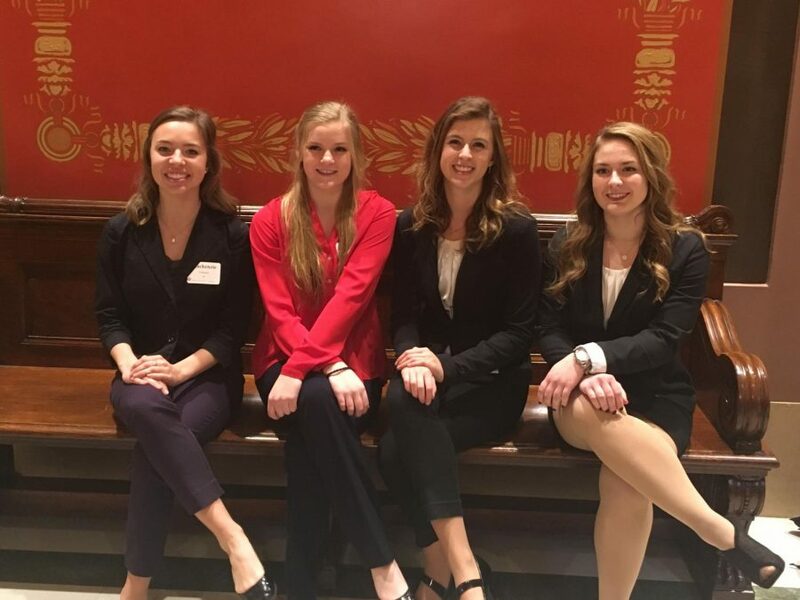 In order to compete at the national competition in Washington DC in April, the teams must win their state competition, and they’ve done exactly that for the past (!!#!!) years. Some may argue that Mrs. Loeschke is the reason they’ve been able to stay at the top so long, so I asked senior and WEPO participant Kenzie Fimmen what the program would be without the veteran teacher. She responded, “Mrs. Loeschke is passionate about teaching government and knows exactly how to prepare us to help us succeed in the competition.” Retired teacher Mr. Meyer, and current teacher Mr. Strauss also help out the team by working with the students on the two days of the week (Mondays and Fridays) that the AP Government class period is dedicated to WEPO preparations. Kenzie recommended the class to incoming students despite the hard work that the class and the competitions require because of how politically educated the class made her. The opportunity it has gave her to experience our Nation’s capital is a huge bonus she’s looking forward to. Another way in which they must prepare for Washington DC is fundraising. According to Alex Engebretsen they have to raise $24,000 in order to send their group of 14 on the trip. He announced, “In a totally new idea we have decided to make, paint, and sell steel cutouts in certain and custom designs for people.” Mrs. Loeschke advertised the unique fundraiser on social media and praised her students’ creativity and craftsmanship. Not only is this fundraiser different from WEPO’s usual malt or rose sales that they’ve done in the past, it is unlike most fundraisers for any activity in Cannon Falls. This novel idea that the students came up with showcases how bright and dedicated they are. Similar to the steel cutouts, each student is distinct. Each student brings a different perspective on how to approach the tough political questions. There are liberals and conservatives who learn from and listen to each other so that they can have the best outcome; just like the real government theoretically does.